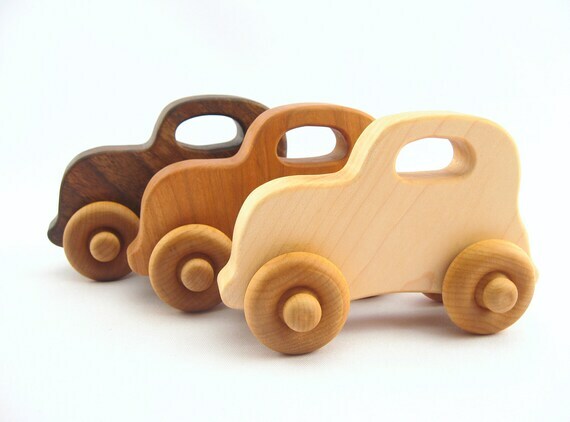 Wood toys are the best for little ones. As long as they're made naturally with natural stains or paints they are the best toys. 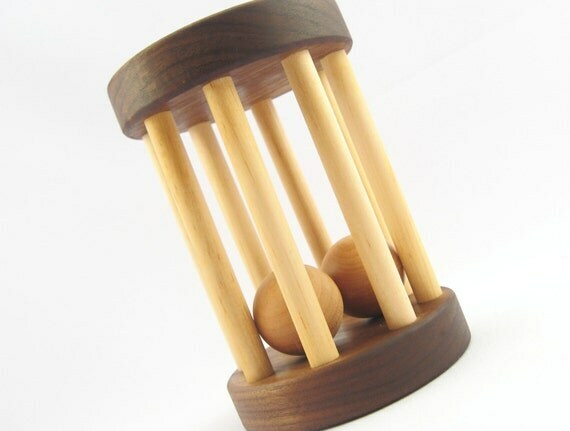 Think about when we were little, we had VERY simple toys right? Stacking toys, those chain links and the little Pop Together large beads... They were simple and the most fun. Most of Avery's toys are simple. Magnetic dress up toys, puzzles, blocks, doll house etc. She has some noise makers as well. But the simple toys are the most used and fun. When I had a chance to review a sew of toys from Smiling Tree Toys I couldn't have been more excited. They came in a reusable bag which is AWESOME! We received the African Safari Animals Teething Toys and I'm in love. 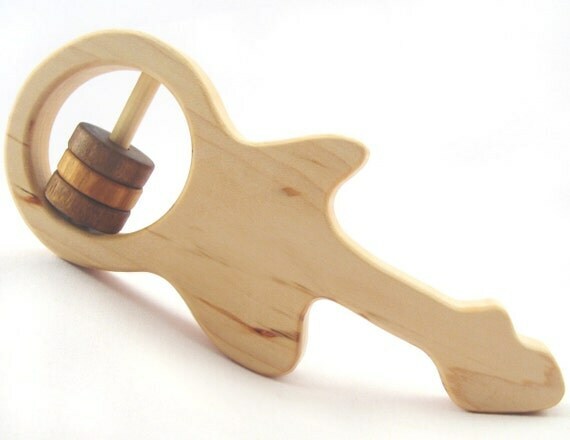 These are teething toys for babies. They are STURDY!!! Built very nicely. I love them because Avery can play with them now and then baby can use them as teethers in 6 months from now! They're really going to be used a lot and will come in handy! I love how simple yet beautiful they are. The stain is gorgeous. Love that they're different colors. They have lots of these 3 sets teething toys to choose from like Barnyard Animals, Deep Blue Sea, Around the World and more! They also have a ton of other toys to choose from. And TONS more!! They have over 130 toys in their store! Price: The Sets of 3 animals are $32 and so is that stacker! The Car is $14! These are very reasonable. They're USA made, Naturally made and are simple and useful! I would love the woodland animals! So sweet. I love these!! I'd choose the Barnyard Animals. Thanks! I like the farm set. I like the elephant, hippo and giraffe set! I like the African Safari set! 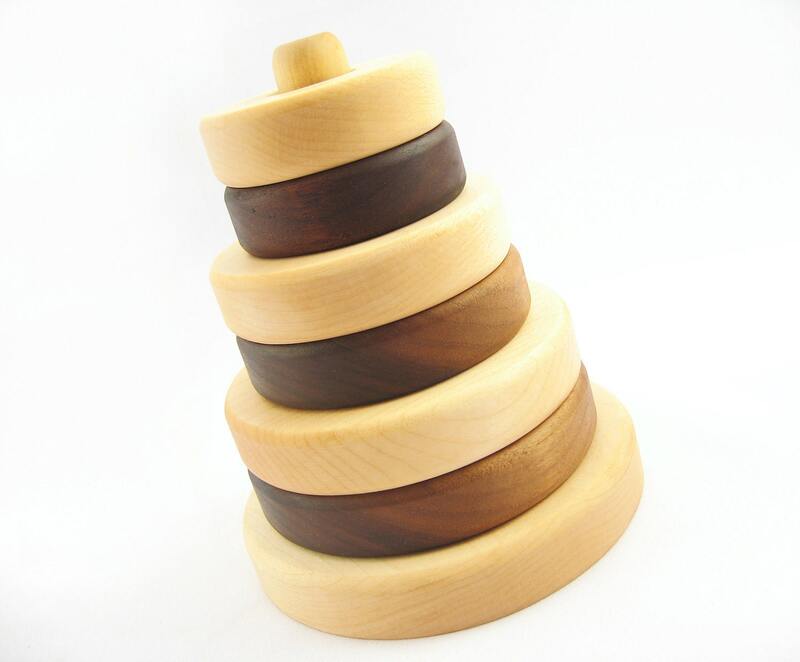 For my granddaughter I would love to get the wooden teething toys - THREE natural wood teethers, free play toys for preschooler, African safari animals, eco-friendly with organic finish. I follow you on GFC, subscribe to your email and like you on Facebook! I would love to win this for my son! I like the barnyard animal toys! Thanks so much for the fantastic giveaway! i'd choose the africsan safari animals- i love the giraffe! I love the owls set! I love the Barnyard Animals set for my little one that is on the way. They would be perfect since we live on a farm. Thanks for the chance. I would get the African Safari set. adorable! I'd chose the African safari animals. I like the Barnyard set. I follow on Facebook(Katie Wickham Phillips). I would get the animal teething set I think. i would choose the deep blue sea set - love the whale! I like the spotted BUTTERFLY. I like the Around the World set. I lie Smiling Tree Toys on facebook. I'd choose Barnyard animal toys. Would Choose the Deep Blue Sea set! I would pick the Barnyard Set. I would get the the barnyard set! Its awesome! 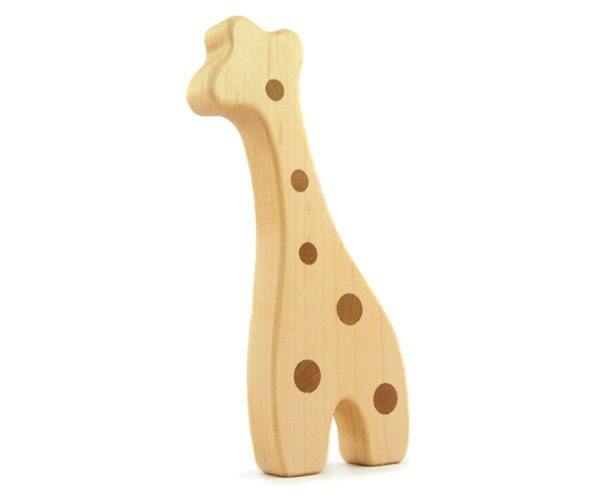 I like the Natural Wood Giraffe.